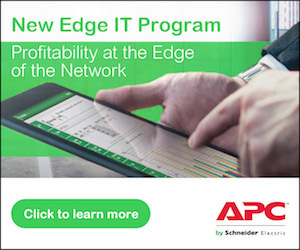 Welcome to the APC Partner Central Site Certainty in a Connected World. Every day, partners call into the APC by Schneider Electric Customer Care Center asking for help selecting the right UPS for their customers. To make sure we can make the correct recommendation, it is important that you have enough information about the customer requirement. Without a thorough understanding of their requirement and any restrictions there may be regarding size or input/output voltages, plugs and receptacles, it is impossible for us to make an accurate recommendation. Below is a list of 5 things to know when selecting a UPS. Be sure to review each of these points with your customer before calling us. It will make it very easy to match their needs with the correct UPS and it makes your life simpler. 1. What equipment is your customer trying to protect? Different units are made for different applications, so knowing what type of equipment is being plugged into the UPS is the first step towards sizing the UPS properly and selecting the most appropriate topology. This could be the difference between a Back-UPS, Smart-UPS, Smart-UPS RT, or even a Symmetra. It’s also important to understand the criticality of the equipment. Is down time not an option? Then we need to consider a UPS that offers an internal bypass or perhaps even redundancy. For example: If your customer needs to protect a standard PC, we would recommend a Back-UPS unit. 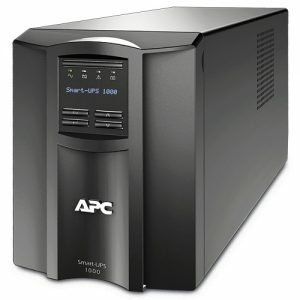 If your customer needs back-up power for a server, we would recommend a Smart-UPS unit since servers tend to be more sensitive to the type of power fed into them. Networking gear can not go down, so your customer may prefer a Smart-UPS Online UPS so there is an internal bypass. 2. What is the total power load the UPS is going to protect?? It is important to know the maximum total power draw of all of the equipment your customer plans to connect to the UPS. Be sure that they consider the maximum power draw as some equipment, such as cooling units and some lab equipment, has a larger initial power draw upon start-up than it does to stay running. Also be sure to confirm whether your customer is providing the total power draw in Watts or Volt-amps. For single phase UPSs, 1000W does not equal 1000VA so it is an important distinction. Helpful Tip: Equipment in a medical lab may require 3000W of power to run continuously, but that may spike to 4500W when the equipment starts-up. To make sure the load is fully protected, use the higher power draw number of 4500W when calculating the load. Knowing both the voltage available in the room and the voltage of the equipment being plugged into the UPS allows us to determine whether the customer would need a standard UPS, split phase UPS, or even a UPS with a step-down transformer. In addition to the input and output voltage, we need to know which plug type or if the UPS will be hardwired. This applies to both the input plug and the output receptacles. And finally, be sure to know how many pieces of equipment your customer is trying to protect so we can make sure the UPS has enough output receptacles to support their load. For example: If your customer has 208V coming into the rack (or room), and the equipment in question must run on 120V, you’ll need to provide them either a split-phase UPS or a UPS with a step-down transformer (so that the UPS can receive 208V in and push 120V out to the equipment). 4.How much runtime is needed? Knowing how much runtime your customer is looking to achieve is very important to the UPS sizing process. If the customer is looking for more than enough runtime for graceful shutdown, they are going to need an extended-run model. This information also helps in knowing how many battery packs will be needed in the event they do pick an extended-run model. Helpful Tip: When customers aren’t sure, they have a tendency to dramatically overstate how much run time they need. If their site has a back-up generator available, they only need a few minutes of run time. Remind them that runtime comes from batteries and not from oversizing the UPS. Batteries are expensive and they will need to be replaced every 3-5 years. Encourage your customers to consider what their true runtime requirements really are instead of arbitrarily picking a “safe” number. 5. Where will the UPS be installed? Does your customer need a rack-mount UPS, or do they prefer a stand-alone tower? If its going to be mounted in a rack, its important to know how much rack U space is available for the UPS and any external battery packs that may be required. If they don’t have room in their current rack, they may need to purchase another one. If the UPS is going into a 2-post rack, a rail conversion kit may be needed. Helpful Tip: If there isn’t enough space in the rack to accommodate the UPS and the battery packs, this may be a good opportunity to ask the customer to reconsider how much run time they need and/or to consider a stand-alone tower unit. Armed with the answers to the above 5 questions, you are ready to size your customer for a UPS! Feel free to call into the Customer Care Center (call 877-272-2722), and a rep would be more than willing to assist you. Otherwise, you may also access our UPS Selector tool.